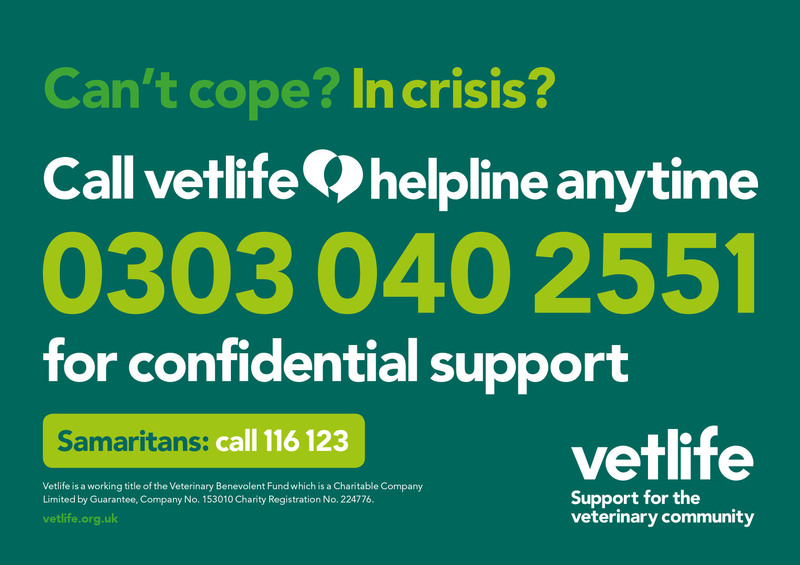 Please display our helpline sticker in your workplace to help us reach out to people in crisis. We know that our profession has a high rate of suicide. There is strong evidence that having a sign or message with a number to call for help at places people may be when they are at risk of harming themselves reduces deaths and crisis incidents. 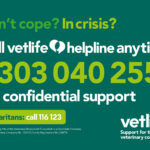 Please help us to ensure that every veterinary practice has a Vetlife Helpline sticker clearly visible on the door of the controlled drugs cabinet. You could save a life. Stickers are free and can be ordered by emailing info@vetlife.org.uk or calling 0207 908 6385. Please specify the number required. Practices, universities and other veterinary organisations have also placed stickers on fridges, workplace bathrooms and laptops. We can provide as many stickers as you need.